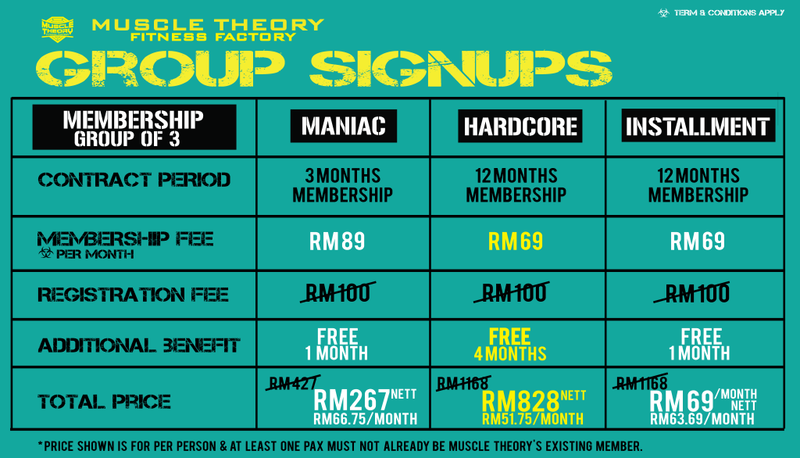 Muscle Theory Gym Memberships cater for all levels. It is the perfect place for providing starter packs for beginners who want to pick up fitness as their lifestyle, and for the Elites to turn into Gym Maniacs or Hardcores. You have the option to go for 1 month, 3 months, 1 year Membership and also PAY PER ENTRY. All memberships allow you to have full access to the gym facilities 7 days a week. AND WHO SAID YOU NEED A CREDIT-DRAINING GYM MEMBERSHIP?